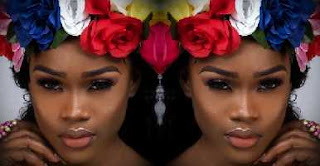 This post contain some quick facts about Cynthia Nwadiora popularly known as Cee C.
Cynthia Nwadiora became a much talked about celebrity in Nigeria after she featured in the Big Brother Naija reality show. BBNaija was viewed by millions of Nigerians all across the country and some other selected African countries. Cee C immediately stood out because she was controversial,because of this she gained a lot of fans that voted for her,she eventually finished as the 1st runner-up in BBNaija. crashed while she was still inside the BBNaija house. Fast forward to present day after the BBNaija show,Tobi is now dating Alex while Cee cee and Leo are busy sparking dating rumors. Cee cee is currently the house mate from the BBNaija with the highest numbers of followers on instagram and also the BBNaija double wahala house mate with the most endorsements. Check out some quick fact about Cee c such as her biography,net worth,family,siblings,endorsments etc. Anyone that watched Big Brother Naija will attest to the fact that Cee C was feisty and controversial. Cee C whose real name is Cynthia Nwadiora grew up in Enugu State which is a state in the eastern part of Nigeria,but according to sources,she now lives in Lagos state. Cee C had her secondary education at Heritage Academy and FGGC, Ibusa. Cee C graduated from Madonna University where she bagged her LL.B in 2013 before acquired a qualifying certificate at the Nigerian Law School in 2014. The supposed 25 year old is a lawyer by profession and also an outdoor advertising practitioner. She was working at her brother’s Advertising firm called Esmic International Limited before she went for BBNaija and became famous. She also served as a trainee at Sterling Partnership Legal Practitioners and Fidelis Oditah & Co which is located at Lekki phase 1, Lagos State. Currently she has secured quite a number of endorsements after leaving the BBNaija house. Cee C's hobby include Reading,Cooking and Playing Tennis. Cee C and Tobi were an item when they were inside the BBNaija house. However thing went south for the pair and they decided to go their separate ways. Tobi immediately got affiliated with Alex when they were still in the BBNaija house. Cee C and Leo are currently fueling dating rumors as Cee C was reported to have thrown a surprise birthday party for Leo. However the duo has not confirmed their relationship. the highest number of followers. Her official verified Instagram account is @ceec_official. Cee C' father's name is Michael Nwadiora,her other siblings include Michael Nwadiora II who is her elder brother and a married elder sister who was her social media manager while she was still in the house. After leaving the BBNaija house,the Enugu state born lawyer has bagged a couple of endorsements which includes the Brand Ambassador of House of Lunettes,House of Lunettes etc. Cee C has an estimated net worth of 30 Million Naira.